Are we going back for our future? Ken Loach’s documentary, which celebrates the brilliance of the post-war Labour government, is a blast from the past in more ways than one. I can’t remember the last time when I heard the word ‘socialism’ used so frequently in a text and spoken with approval; probably Channel 4’s Eleventh Hour radical strand on Monday night in the 1980s. But here we have it, Clem Atlee stating, proudly, that Britain is going to be socialist. However, Ken doesn’t have rose-tinted lenses for, as Tony Benn says, the nationalised industries were always controlled top-down, often by the same people who’d managed them before, rather than by the people. However, the achievements of the time were wondrous. Here Loach lets witnesses speak, and they do so with conviction; for example, the guy who explains how amazing it was to find a bathroom inside the council house he was moving into. 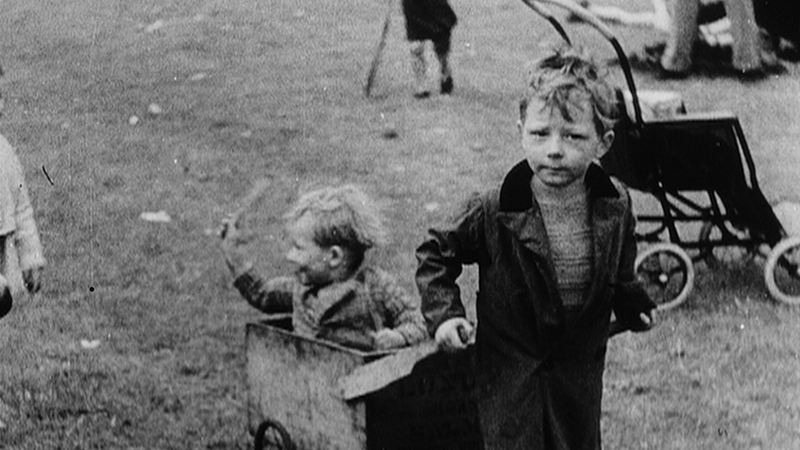 And there is plenty of footage, from the likes of Housing Problems (1936), to show how things were before the war. These witnesses are now obviously old so it is doubly important to hear their perspective; such as the doctor who, on the day the NHS started, was able to tell a patient not to worry about paying for the medicine as it was now free. Loach is obviously not celebrating the era for the purposes of nostalgia because we are on the verge of the disintegration of the welfare state as the vandals in government seek to destroy the mechanisms of equality. The last third of the film looks at the effect of Thatcher, the great destroyer, and we currently have a government of men who wish to fill her boots by taking the country to the far right. Today’s Daily Mail features a composite image merging Chancellor Osborne with Thatcher; certainly an honest comment. I saw the film with two teenagers who struggled to keep awake. That’s not a reflection upon them, as teenagers tend not be interested in the past, and there are a lot of black and white talking heads in the film. But, of course, it is their generation that is going to lose the most if the rich are allowed to consolidate, and increase, their grasp upon the nation’s wealth. Youngsters need to look beyond themselves, as they have been taught to do in the fall-out of Thatcher (and Blair), and think of others to both save the planet (climate change) and themselves from a future of social strife and insurrection.